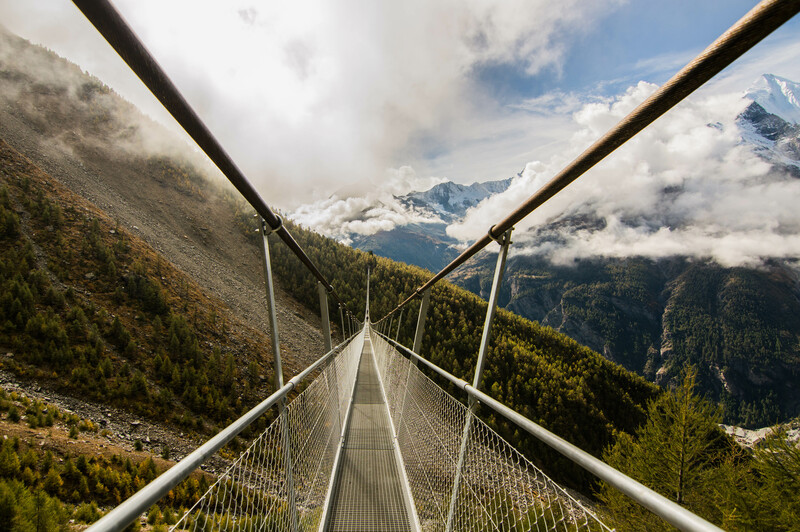 First, it is important to say that this route is considered magnificent even without the main attraction – the longest suspension bridge in the world. During the trip you will see breathtaking landscapes, impressive trees, powerful mountains and nature in all its splendor. The worlds longest suspension bridge was inaugurated in 2017, Officially called the Charles Kuonen Hängebrücke. 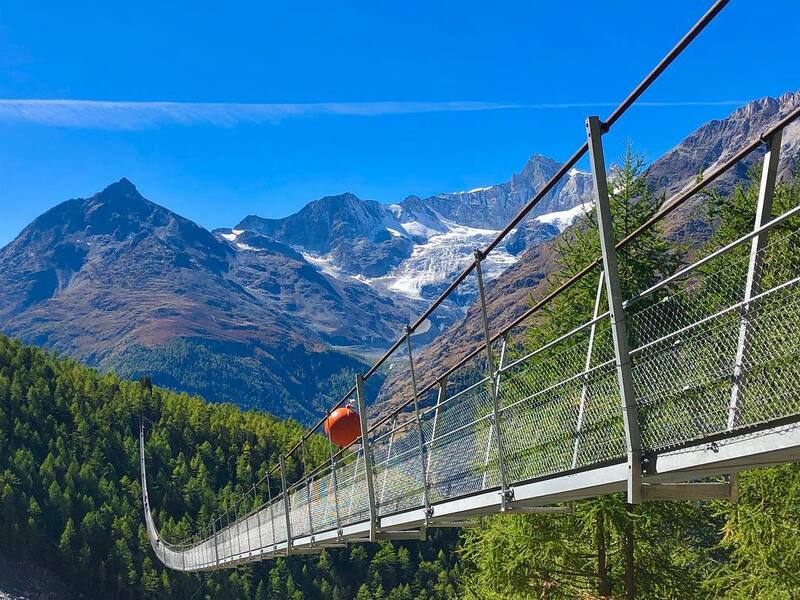 This is the latest addition to Switzerland’s already impressive lineup of attractions. 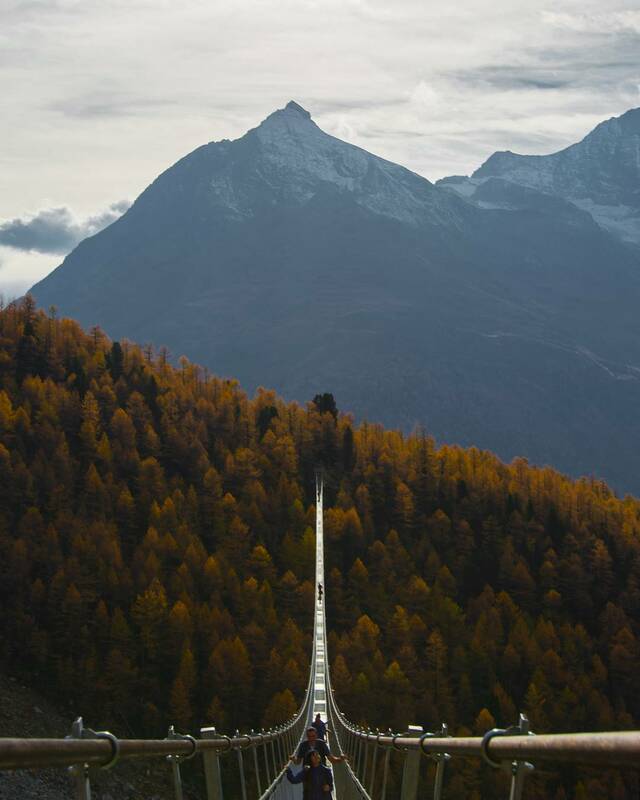 The bridge spans 494 meters (1621 feet) and runs 85 meters (279 feet) above the ground at its highest point. How to get to the bridge? There are two main roads, both of them start’s in Randa. Randa is a village located just near the hiking start point. 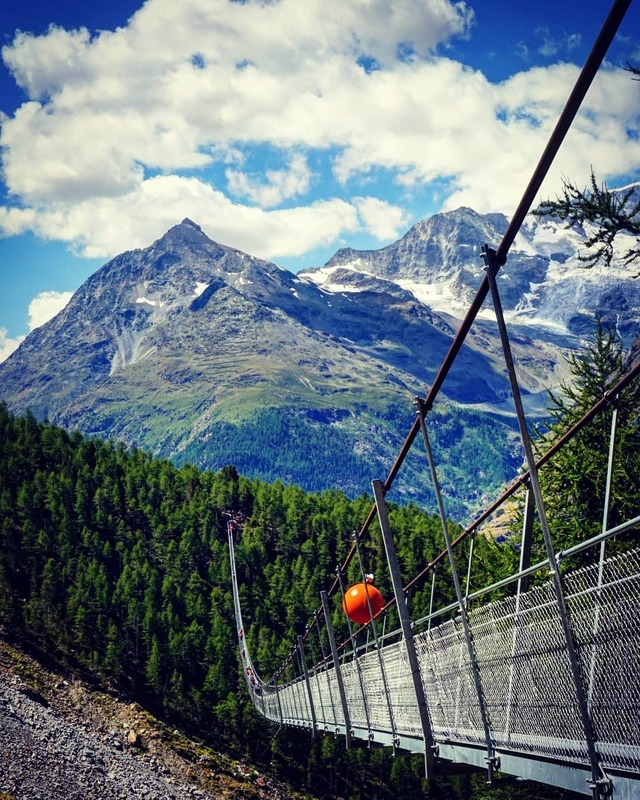 here are other ways to reach the worlds longest suspension bridge, as it’s part of the massive network of hiking trails that traverse the Swiss Alps. 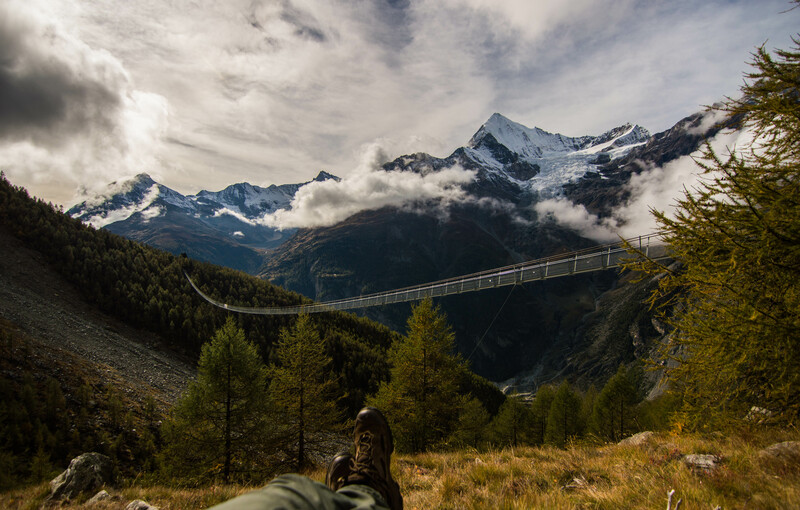 This bridge is part of the longer Europaweg trail, and you can find it on your way between Zermatt and Grächen. 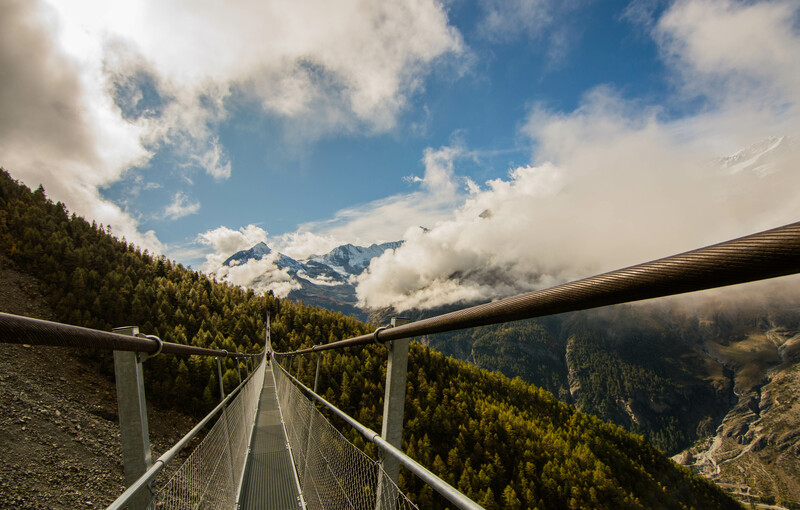 The easiest and most Recognized way to get to the world’s longest suspension bridge is by hiking up from Randa village. The hike begins right at the Randa train station (as you can see at the map above), all you need to do is just follow the signs towards Charles Kuonen Hängebrücke. 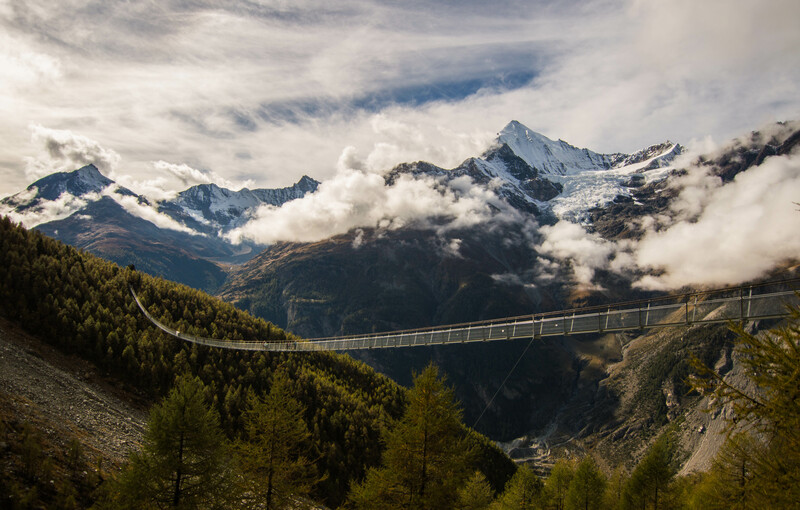 The circular hike to the Randa Suspension Bridge goes through forests and leads to the longest pedestrian suspension bridge in the world. It takes about 10 minutes to cross the bridge and in the middle, swaying walkers are at the highest point: 85 m above the ground. After crossing, the path continues right back to Randa. 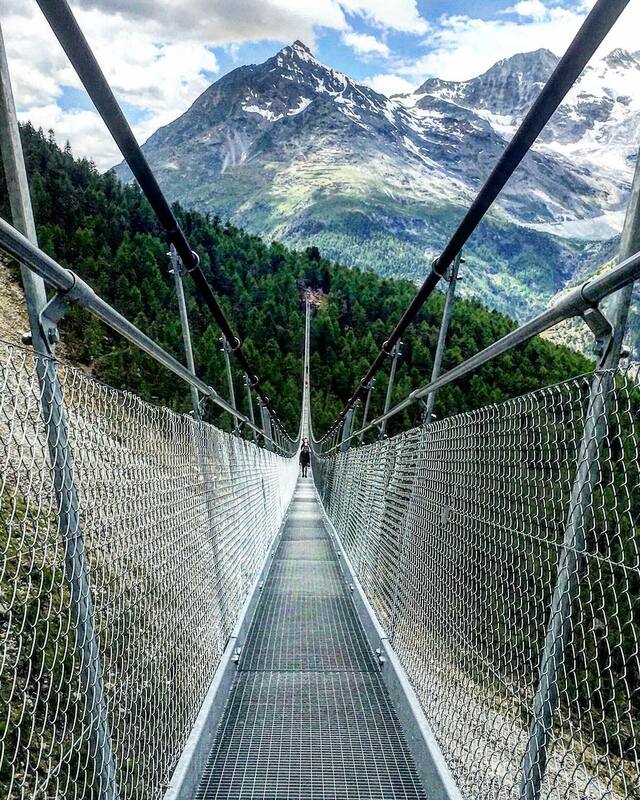 It is important to note that the fear of heights dresses an option to back the cross on its tracks instead of crossing the bridge and continue the usual circular route. Entry Fee: There is not a fee to cross the bridge, no tickets needed. Not having a fear of heights is an advantage. Inform others of a planned route, and whenever possible avoid going alone.